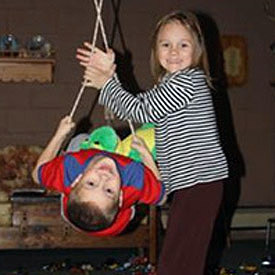 Benjamin Wolfgang and his sister, Sage, are thrilled to play in their basement again. And their mother, Dawn, is breathing easier knowing that Rutgers helped install a system to remove radon – the second leading cause of lung cancer – from their home. As part of a three-year project, the Office of Continuing Professional Education at Rutgers has helped install mitigation systems to protect low-income families from radon, a naturally occurring, odorless, colorless gas that is the leading cause of lung cancer after smoking.